Are you getting married soon? Have you thought about your invitations? WiltonPrint.com offers a wide selection of wedding invitations with different designs to choose from. On this site you can find lots of ideas for your wedding, ranging from wedding cake designs to decorating ideas. Keep this site in mind, in case you need to get some help with your wedding. WiltonPrint.com offers a wide variety of wedding cake designs, as well as ideas for cookies, cupcakes, and more. Pay this site a visit and take a look at the different products offered. You can buy wedding cakes, designed invitations, and different kind of cookies. 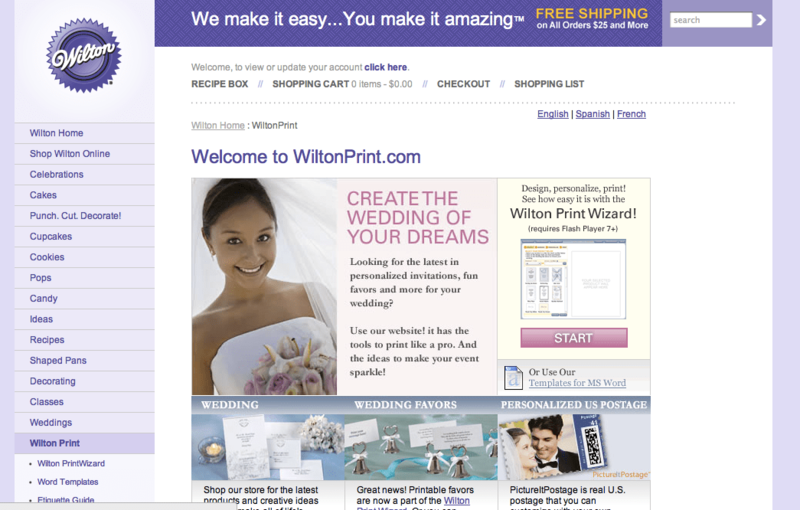 Wilton Print lets you print your own wedding stationary online. Do you want to get some help with your wedding? Are you looking for the perfect cake for your wedding? If that is the case, WiltonPrint.com could be of help. On this site you will find wedding cake designs, as well as wedding invitations.